The first Leo Tolstoy novel I have encountered (and probably the last "novel" - his other works, as far as I have seen, are considerably thicker! 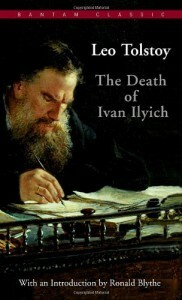 ), "The Death of Ivan Ilyich" is just... incredible. I believe he wrote this several years after completing Anna Karenina (I am working on that one at the present), and I believe his prose has matured considerably.